The aluminum frame assembly highlighted here was manufactured utilizing our precision machining and fabricating capabilities. Designed for use as a filter housing unit for a scientific application, it was composed of 7075 aluminum. This project represents a complete fabrication project, which included material sourcing as well as fabrication and assembly. The components were CNC milled to the customers supplied drawings, which called out flatness of .004", as well as the application of a hard-anodized finish. The two components of the finished assembly had dimensions of .88" x 26" x 26", and 1.60" x 34.3" x 64.5". 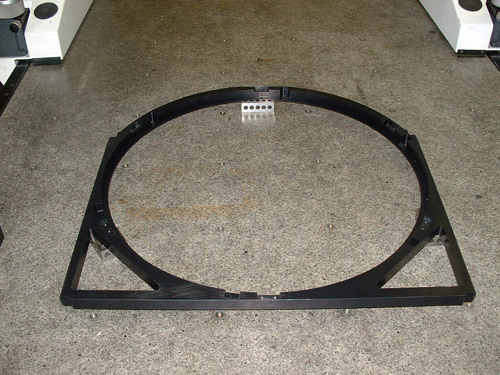 We manufactured 170 of these assemblies. For more information see the table below or contact us directly. 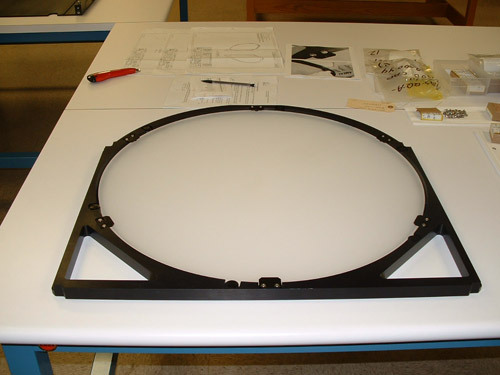 Product Description This frame is used to house filters for a scientific application. Overall Part Dimensions .88" x 26" x 26" / 1.60" x 34.3" x 64.5"
Tightest Tolerances Hold flat .004"